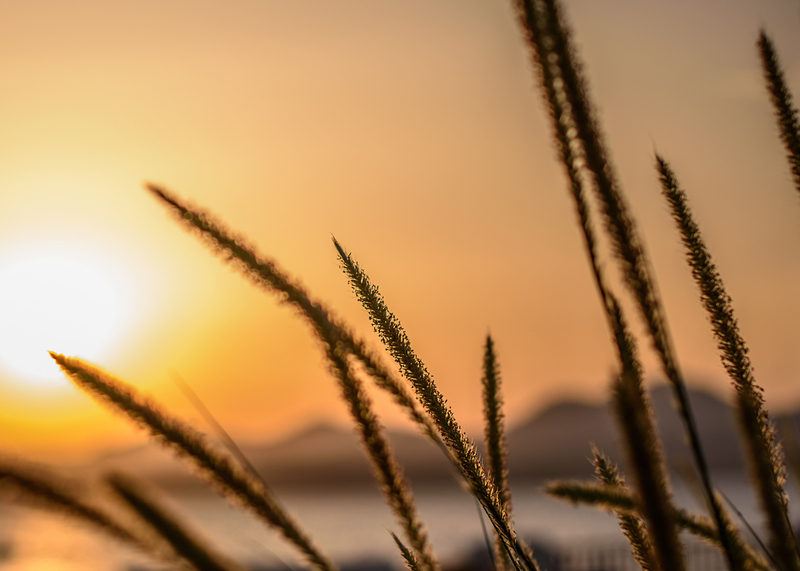 Here we serve myrtle-infused sunsets, nights of fire and ancient flavours on the grill. 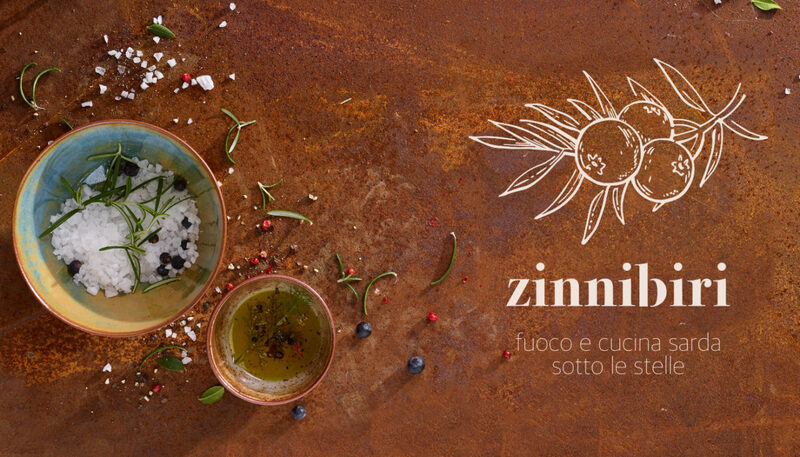 Zinnibiri, the small restaurant serving Sardinian specialities is near Olbia, overlooking the sea. It is only open in the evening, when the sun dives into the water and offers unforgettable sunsets. Here, you can taste reinterpretations of the best recipes from typical Sardinian cuisine, as well as specialties of fish and grilled meat, accompanied by selected wines. It is open from 15 June to 15 September 2019. Given the limited number of places, bookings are recommended by calling +39 0789.36350. Zinnibri’s secret ingredients are a magical location, a convivial spirit that brings guests closer together and an incredible fire, from whose embers come meat and fish specialties embellished with local spices and aromas carried on the wind, first and foremost that of the sea, just a stone’s throw away. In the language of Sardinia, the zinnibiri is the juniper, a strong bush that grows on the dunes, with reddish, highly fragrant wood, with green berries also referred to as “coccole” (cuddles). 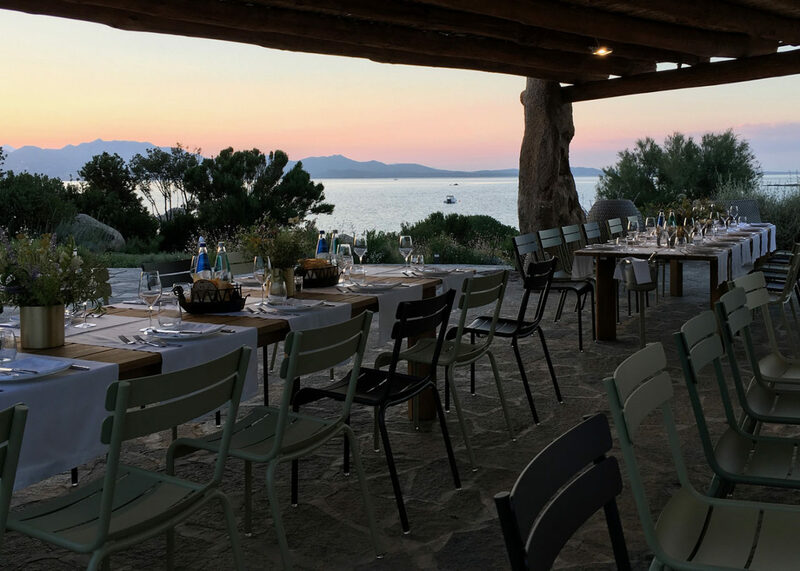 This is also the small Zinnibiri restaurant in Sardinia, which tells the story of a Sardinia with strong flavours, highly-fragrant, in which typical Sardinian cuisine is reinterpreted by Chef Domenico Dapas and transformed into a cuddle for real, for an unforgettable dinner by the sea. 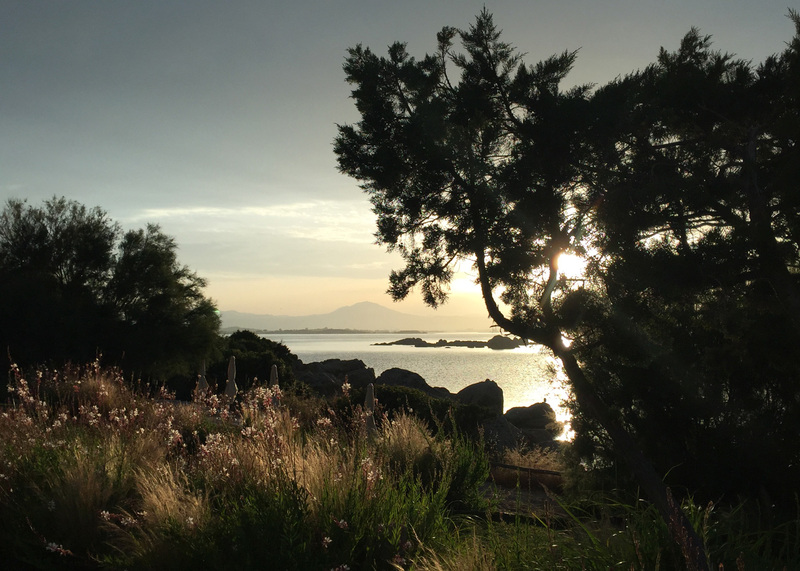 All the ingredients of the Sardinian recipes use only local ingredients, prepared with love and accompanied by wines selected from the Sa Cantina winery, chosen with care by the Maître Sommelier. 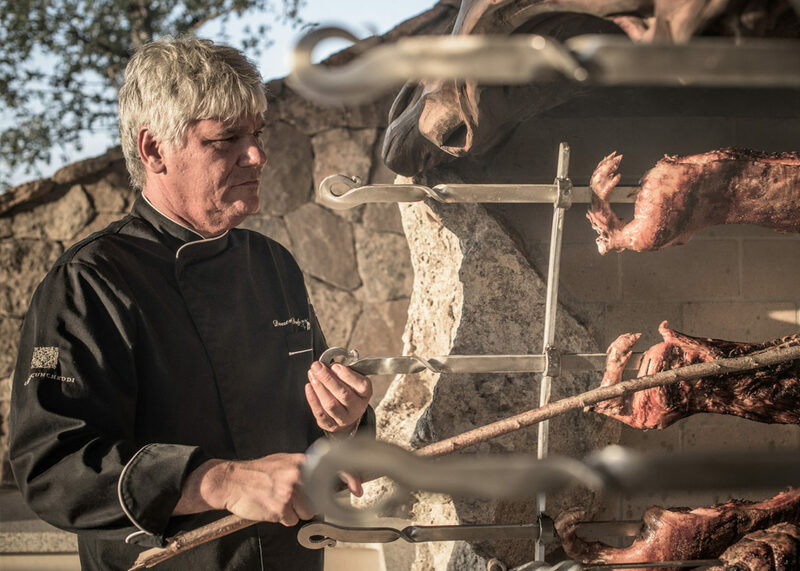 Restaurant with grill à la carte, offering Sardinian cuisine tasting menu and wine list from the Sa Cantina winery. The restaurant is open from 15 June to 15 September 2019, every night from 8 pm to midnight. Given the limited number of places, bookings are recommended by calling +39 0789 36350.